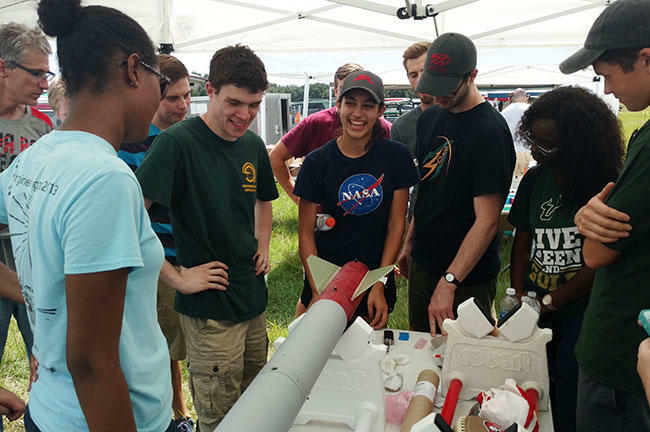 Members of the USF Society of Aeronautics and Rocketry (SOAR) prepare a rocket for launch in Plant City in September 2016. The Bullistic I, a 15-foot long rocket, soared to an altitude over a mile high, powered by an engine built by USF SOAR members. USF sophomore Brooke Salas (center in NASA shirt) jokes with other SOAR members. University Beat's Mark Schreiner takes you to a recent USF Society of Aeronautics and Rocketry (SOAR) rocket launch. Few states have as close a tie to the U.S. space program than Florida, so it probably shouldn’t come as a surprise that there’s a growing number of would-be rocket scientists at the University of South Florida. 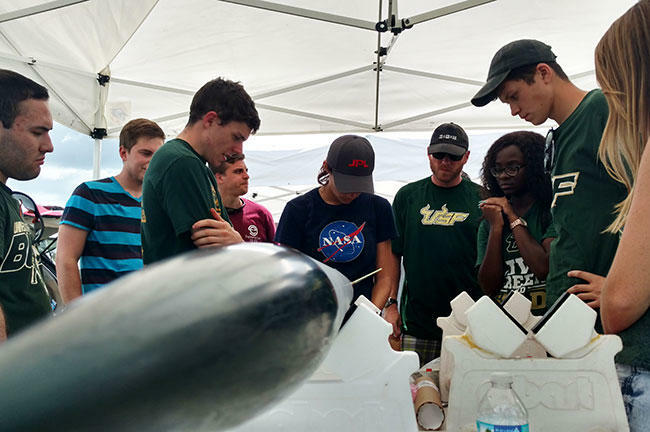 In 2013, a mixture of mathematics, engineering and physic majors came together in a student club, the USF Society of Aeronautics and Rocketry, or SOAR. Senior mechanical engineering major Logan Sveum says the group has about 130 members, with at least 30 to 40 dedicated members who come to almost every club event. "I guess our proximity to NASA kind of gives us that little edge, but I want to say this is something that’s growing everywhere because NASA, they’re building the SLS (Space Launch System) rocket, which will be bigger than the Saturn V, they’re getting ready to go to Mars," Sveum said. "No matter who it is, if you hear Mars or rockets, I mean, everyone gets excited, I know we all do and this is our passion." In its short existence, SOAR has already found success. 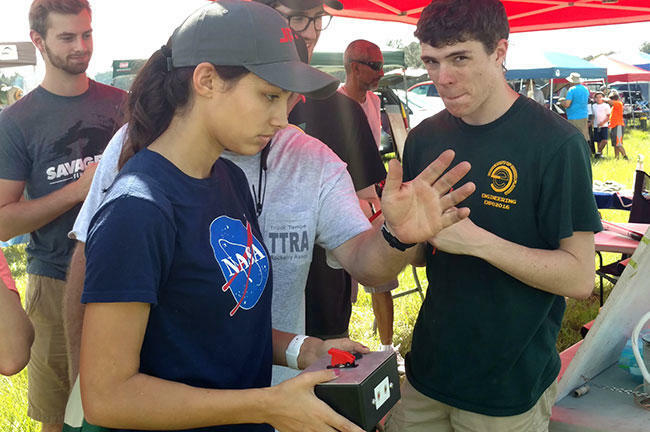 The group was one of around 50 college groups invited to compete at the NASA University Student Launch Initiative in Huntsville, Alabama, this past April. The students put in eight months of work preparing their rocket, the Bullistic II, an almost 12 foot long missile made mainly out of fiberglass, for the contest. "I want to do something cool and amazing," Sveum said. "We all do." But it wasn’t only about launching the rocket to a mile high altitude. An arm inside the rocket had to pick up a payload - a small PVC pipe, but payload nonetheless - put it in the rocket and close up before the rocket slid across a rail system similar to the ones NASA uses – and this had to be all done autonomously, with no human control. Sveum says the results weren’t what they wanted. "We couldn't get the payload because the servos, they're just little mechanical motors on our arm, some of them failed. We had some extras, but those failed too," Sveum said. "Nonetheless, the experience alone, going up there and just participating, trying something no one else has ever done before, at USF anyway, it was a phenomenal experience," Sveum said. "Beyond the competition, we got to meet astronauts, we got to see what NASA's doing with SLS, it was great." SOAR is already preparing for next year’s contest. 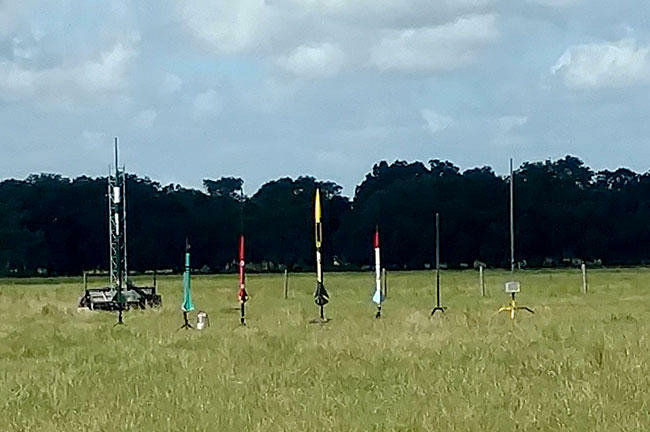 Every month, a few dozen members join other rocketry buffs from around the state at a cattle ranch in Polk County to launch over a hundred rockets over a two-day period. The Bullistic I (far left) sits on a launch pad shortly before liftoff in a Plant City pasture in mid-September 2016. 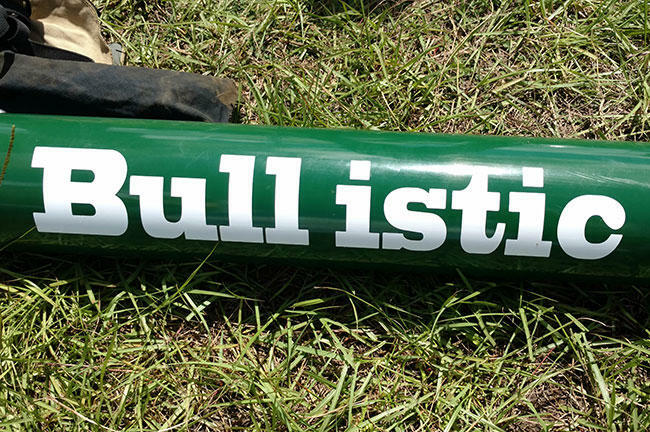 In mid-September, they launched the Bullistic I, a slightly longer version of their contest rocket. For this launch, they tested an engine the students built by hand – a more time-consuming, but actually cheaper alternative to pre-built engines hobbyists buy. "Everything has to be precise, we can’t have any grams off," mechanical engineering sophomore Brooke Salas said. "When we pack it, there’s got to be no air bubbles, but not only does it take a long time to do that, there’s multiple days that we have to let it harden." As one of the main engine builders, Brooke was given the chance to push the button that launched the Bullistic I. But when the countdown reached zero and she hit the button, there was no smoke, no noise, nothing. While the group joked about what happened, Salas stared helplessly at the rocket. "It was like my stomach had dropped, because I had put so much anticipation and hope, and then when it didn’t go off, I thought it was my fault," she said later. Thankfully for Salas, it wasn’t. Doing the first thing on any good troubleshooting checklist – making sure everything’s plugged in properly – showed what was wrong: there wasn’t a good contact between one of the wires and the control panel that launched the rocket. A few minutes later, a successful launch occurred, with the rocket flying skyward at a peak speed of around 400 MPH. USF sophomore Brooke Salas receives last-minute instructions before launching Bullistic I. For over a minute, the crowd kept close watch on the skies, waiting for the rocket to reach its apex over a mile high and then deploy its parachutes, before it made a safe touchdown in the nearby pasture. They'll need to repeat that mile high ascent in NASA’s 2017 competition before the rocket descends to Earth and lands vertically. While such a task seems daunting, Sveum quoted President John F. Kennedy's famous 1962 speech where he announced America's plans to put a man on the moon. "We want to do something not because it is easy, but because it is hard," Sveum said. "We don't want to just go up there and do one of the other options. 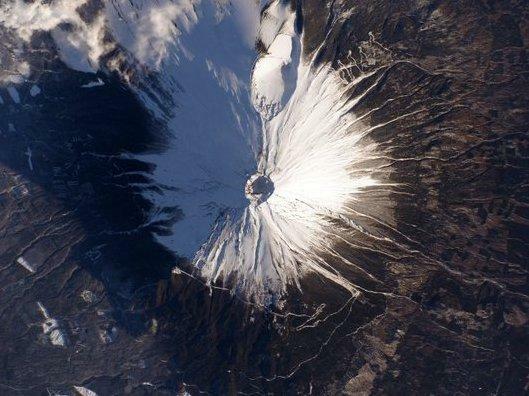 (Note: NASA offers college teams the chance to choose which challenge they want to meet.) No, I want to do something cool and amazing and we all do." Members of SOAR say that challenges like these are what makes studying science rewarding and fun. 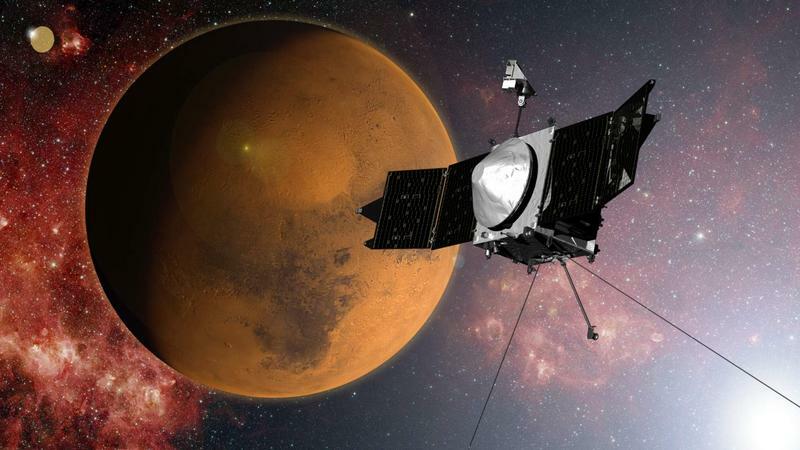 And it certainly doesn't hurt to have this kind of work on your resume, as many students want to work for NASA or companies like Lockheed Martin or SpaceX. "We’re trying to send people to Mars in 2030, I want to be part of that, I want to send people to Mars," Salas said, pausing as another rocket lifted off behind her. "Learning about this stuff now and graduating, I’m hoping I’ll be able to do that." An explosion has rocked the SpaceX launch site in Florida. 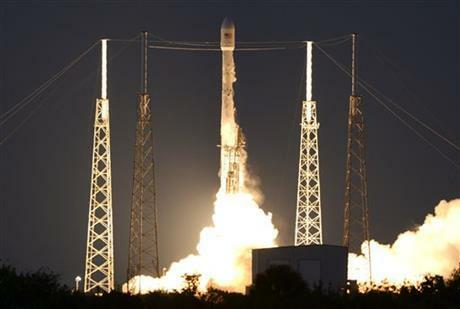 NASA says SpaceX was conducting a test firing of its unmanned rocket when the blast occurred Thursday morning. The test, considered routine, was in advance of a planned Saturday launch from Cape Canaveral Air Force Station. Yesterday, NASA announced that astronaut Scott Kelly will retire from the space agency as of April 1st. Kelly holds the U.S. record for the most time spent in space. For nearly a full year, he zoomed along at 17,500 miles per hour — orbiting 230 miles above earth — on the International Space Station. And for those million or so of us who follow him on Twitter, Cmdr. Kelly's year in space gave us a mind-expanding view of planet Earth. Kelly posted spectacular photos — awesome, in the true sense of the word. He called them, earth-art. 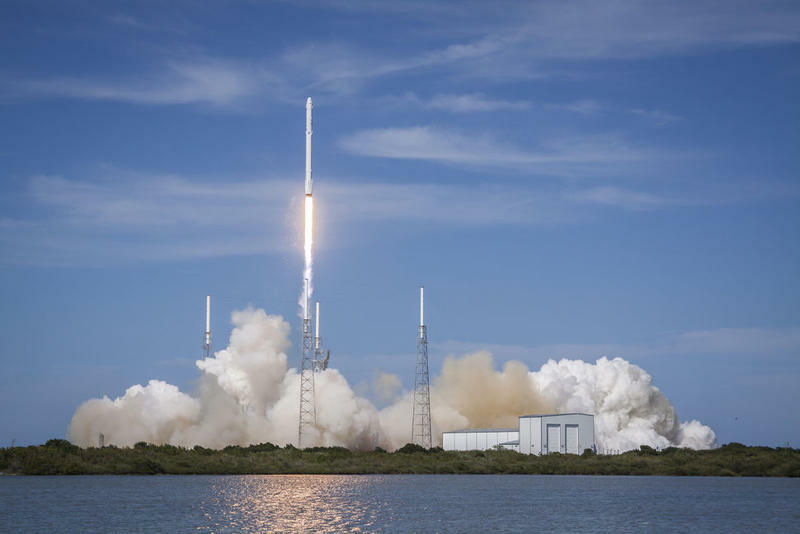 SpaceX has another launch under its belt, but not another rocket landing. The leftover first-stage booster hit the floating platform hard Friday, said SpaceX chief Elon Musk. The company never expected to nail this landing, he said, because of the faster speed of the booster that was required to deliver the satellite to an extra-high orbit. NASA opened its astronaut-application website Monday. It’s accepting applications through Feb. 18.